3 In 1 window cleaner, which includes spray bottle, microfibre pad and..
Bosch original cooker glass and ceramic hob cleaner kit ..
For use with Kirby carpet cleaners, this foam carpet shampoo gives a deep, efficient clean and revit..
Quality replacement silicone blade for your window cleaner over time the silicone will get damage..
Absorbs grease and dirt like magic. 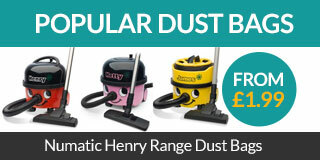 Cleans, dusts and polishes all hard surfaces in seconds. Work..
Pet stain and odour citrus shampoo carpet cleaner and protector for Bissell cleaners Citrus fr..
Professional grade shampoo solution for carpet cleaner and upholstery machines 1.5 Litres Ci..